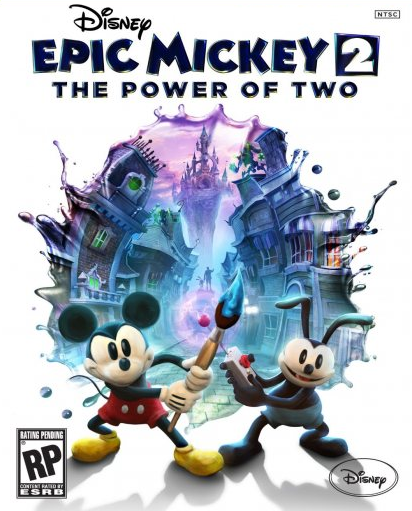 Epic Mickey is quite the intriguing game. I mean, it’s fresh and exciting and it has a slightly dark edge to it that makes it the gaming experience all the more enticing. So when a sequel came out – hell, I was intrigued to see the concept taken a step further. Unfortunately, it’s a pretty mixed bag of goods that left me feeling a little underwhelmed and confused. So: I’ll keep this brief and to the point. I like this slightly weird and fantastical world. There’s a sadness and darkness to it that I find intriguing. It helps that it’s a love letter to animation of old and a celebration of what makes it so charming and wonderful and all that jazz. The animation on display here is rather beautiful and I loved exploring this warped cartoon world. I also enjoyed the game’s soundtrack that zips from a lively number to something more sombre – it’s all beautifully done. The story was unengaging, the musical numbers were weak and a little uninspired and some of the gameplay mechanics are just atrocious. For starters, they haven’t fixed the horrendous camera issues that plagued the first game. What’s more game-rage-inducing is that your AI is absolutely dreadful and seeing as though you depend on this guy to interact with the environment around you and to make timed jumps and so forth, you’re going to have a terrible time of it unless you intend to go co-op. There’s a great game somewhere amongst here but it isn’t in the finished product and unfortunately, the poor game mechanics and AI far outweigh the lovely throwback to animation and other great moments peppered throughout here.